Manchester United have agreed a deal in principle to sign Paris Saint-Germain defender Serge Aurier, according to reports. This news comes after PSG signed veteran right-back Dani Alves on a free transfer from Italian champions Juventus. 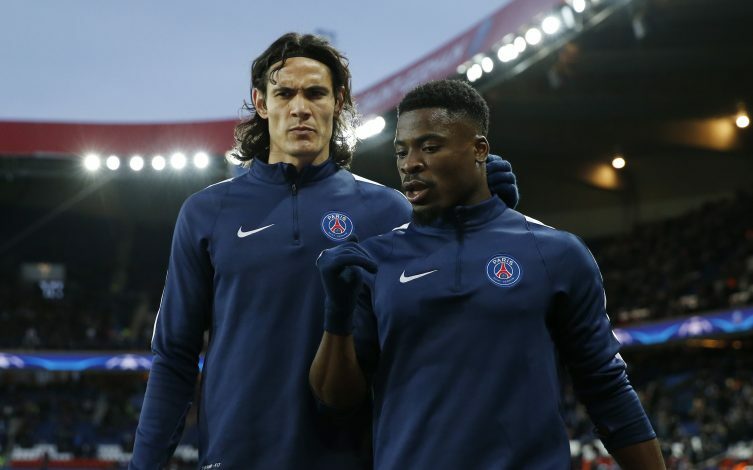 The Brazilian’s arrival meant Aurier would now have to fight for his berth in the team, and the lack of guaranteed first team football due to Alves’ whopping salary seems to have unsettled the Ivorian. According to L’Equipe, Aurier, who has a contract at the club till 2019, is refusing to sign a new deal. Further reports claim that the 24-year-old is in advanced talks with Manchester United, as the promising player has been linked with a move to the Old Trafford club since months now. Moreover, a source close to the player has said that he has verbally agreed a move to the English giants. The Ivory Coast international is said to be tempted by the prospect of working with United manager Jose Mourinho. However, the fact remains that the Red Devils already have Antonio Valencia as their preferred right-back, apart from the versatile Matteo Darmian. Meanwhile, Ashley Young and Alex Tuanzebe too, can feature in the position. Aurier did not enjoy a consistent season at PSG due to his inconsistent performances last term. The defender also has a history of disciplinary problems in France, and Jose will have to get him sorted to his best if he lands up in the Premier League. Meanwhile, PSG aren’t willing to let go of the defender, and despite the signing of Alves, they want solid competition for the right-back position, as they look to get their dominance back at home turf in Ligue 1, and perform well in the Champions League.